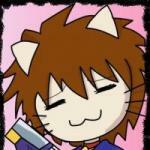 There are 14 posts in this thread, and it has been viewed 8252 times. Street Smart. What do you think of it? Ever wondered how Takuma Sakazaki and Jeff Bogard looked like as youngsters? Street Smart from 1989 might give you the answer, at least if we believe the rumors that these two KoF legends are indeed the same protagonists in this early fighting game. 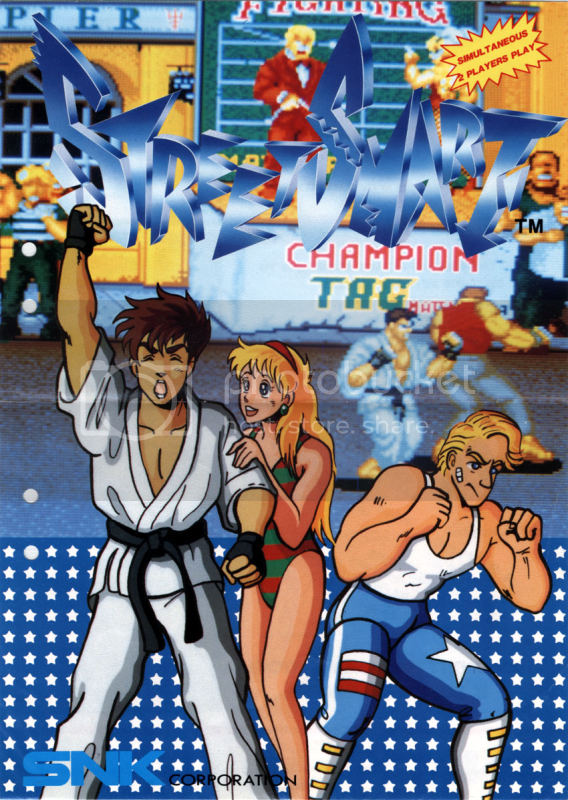 Street Smart can be considered as a pre-Street Fighter II/Fatal Fury era title, where features like life bars, special moves, cancels or combos weren't as natural as they are today. 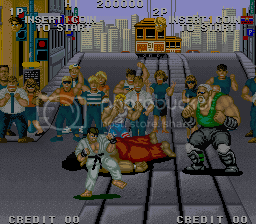 Street Smart, is a 1989 beat 'em up arcade game by SNK/Treco. The game's objective is to win money, girls and glory on the streets. 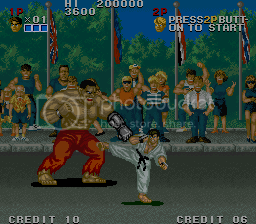 It is notorious for its level of difficulty requiring a great deal of brawling before the player's opponents go down. 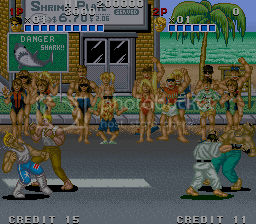 The gameplay resembles other fighting games like Double Dragon where the player can move in all eight directions in an arena fight and the player can kick, punch or do special moves. Wanna participate at a Street Smart High Score Challenge? If yes, please leave an according post or send Priest a private message including your request. I don't believe I've ever played Street Smart, or if I have then I don't remember it. I absolutely love the fact that the characters might be Jeff Bogard and Takuma Sakazaki though. The way SNK links together nearly all of their games into the same universe is just awesome. I remember loving this game back in the arcade era, I doubt I would enjoy it now. Looks kinda fun. Where did you get the info that these guys might be J. Bogard and Takuma as their younger selves? I'm now very interested. I do this on Kaillera every once in a while and enjoy it: solid, mindless action. The bosses can be cheap though (you both have the same amount of life bar, but yours runs out quicker). I like how it's a mix of competition and co-op. There should be more arena fighters that include a co-op feature. The lore does sound credible, but for some reason I think it was created after the release of the game. I guess we'll never know for sure. If anything, this makes me interested to know when SNK really got into tying all its franchises together. Early nineties/Neo-Geo debut? There should be more arena fighters that include a co-op feature. Like the first Fatal Fury? Yeah. I was watching All About SNK the other day and was reminded it is co-op. I really like this one. I visited a couple of arcades back in the day that had Street Smart cabinets and I fed them many coins. It's no genre-defining title but still fun and a hint from SNK of things to come (they even used music from Street Smart in Fatal Fury). The gameplay has a unique "floating" feel to it as the fighters slide forward with each attack like they're brawling on an ice-skating rink. Weird at first, but you adjust to it quickly. The Genesis version was a passable but inferior port, which did at least it feature a legitimate final boss unlike the arcade version which instead recycles an enemy character who appears elsewhere in the game. To those who haven't tried out Street Smart yet, I'd recommend giving it a go. 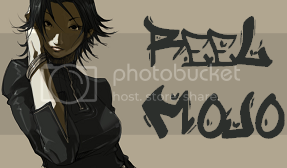 Regardless of how much you enjoy it, it's a legit piece of SNK history and notable (to the best of my knowledge) as the company's first "tournament-style" fighter. Still a classic to me, though. 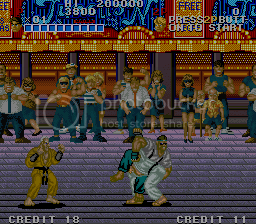 I really like the graphics, I love that style of gfx, just classic arcade GFX. Also it's a nice touch that the ambulance comes on and takes your felled-opponent away. Looks Smooth and fast but I have never played it or seen it in the arcades. would like to play it one day but too lazy to download it on emulation. The game is available on psn as minis. Looks like i should get it. @RiKo: Agreed! It just has that gritty, crunchy sprite-designed look that just screams "early 90's arcade game, right here!" Chiba wrote :- @RiKo: Agreed! It just has that gritty, crunchy sprite-designed look that just screams "early 90's arcade game, right here!" Ha yes. Also there was always the disappointment back in those days when you got hold of the home versions and all the sprites looked like they had forgotten to take their steroids. and in the case of some of the NES versions - turned into dwarves!